Check out Tobi's Safe Inside Wrap Sweater A sweater weather opportunity we can all get on board with. The Sienna Safe Inside Wrap Sweater is an oversized vback sweater with extra long sleeves for a cute touch, and an open wrap back. For sure it's made for Sunday strolling but you may even want to take it to date night. A sweater weather opportunity we can all get on board with. 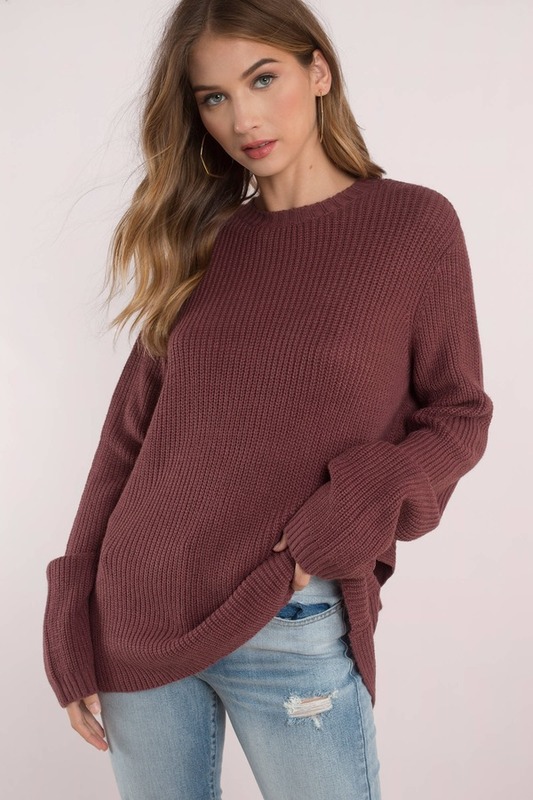 The Marsala Safe Inside Wrap Sweater is an oversized vback sweater with extra long sleeves for a cute touch, and an open wrap back. For sure it's made for Sunday strolling but you may even want to take it to date night. A sweater weather opportunity we can all get on board with. The Sienna Safe Inside Wrap Sweater is an oversized vback sweater with extra long sleeves for a cute touch, and an open wrap back. For sure it's made for Sunday strolling but you may even want to take it to date night. Marsala, Sienna modeled on a size Small.